Folks, it occurred to me that it was time to talk about where we get our spiritual supplies. I’m just going to feature one or two things today, because I don’t want to overload my readers with graphics. When you are choosing spiritual supplies, QUALITY is essential. We all know about oils which consist of mineral oil and artificial fragrances and dyes. Many sensitive people perceive that such oils have no life in them; others buy and use them — because they are very inexpensive — and wonder why they have no effect. The same is true of powders, bottled washes (I have seen some that look like they were made of tempera paint! ), and bath crystals. And, possibly to a lesser degree, the same is true of herbs. There is a certain amount of fakery possible with herbs. Cut and sifted herbs, such as you find in supermarkets, can be swapped out and a cheaper herb rebranded as something rarer and more expensive. On a less sketchy level, you might find a great price on a large quantity of the real-sure-‘nuff herb, only to find that your Deer’s Tongue leaves are full of stems and perhaps other waste matter (see photo). Certainly, it’s good enough to make a tea out of, but it’s awkward to dress a candle with, and I just don’t feel comfortable putting it in a mojo bag. Note the contrast between the big, cheap bag and the little Lucky Mojo bag. Lucky Mojo gives you much less, but there is very little stem. It’s a pleasure to work with, and because it comes from a very active business that is particular about quality, you know it will keep its potency for a long time. Naturally, Lucky Mojo is not the only honest and ethical supplier out there – but I use lots of their products and have never been disappointed. Yes, they’re more expensive than many other suppliers, but they use high-quality ingredients — no mineral oil here, unless you’re buying Lodestone Oil! – and make and package everything by hand. In the future I will be reviewing spiritual supplies from other workers and shops. Naturally, I will be posting my discoveries here. I absolutely love Lucky Mojo Products, but I can’t wait to see who else you review just because of time in getting products. I will definitely stick to LM when stocking up, but I would like to find a few suppliers that I can get things from in a hurry that are still top notch quality. 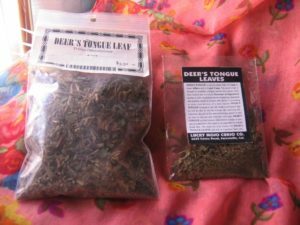 I sometimes do spiritual work in exchange for magical goods from other workers, herbalist, etc…I’ve gotten some great herb samples from folks this way. I like your website.I will buy some soaps soon. Candace, remember, those soaps are sold at http://www.whitemojo.com, not here. I’m about ready for some more money drawing soap, myself.